I suddenly realized it had been about a year since Mario Week 3, so I figured it's about time for Mario Week 4. I'm going to draw a Mario character every day for a week (which incidentally means that I'll actually be updating BTI every day for a week). 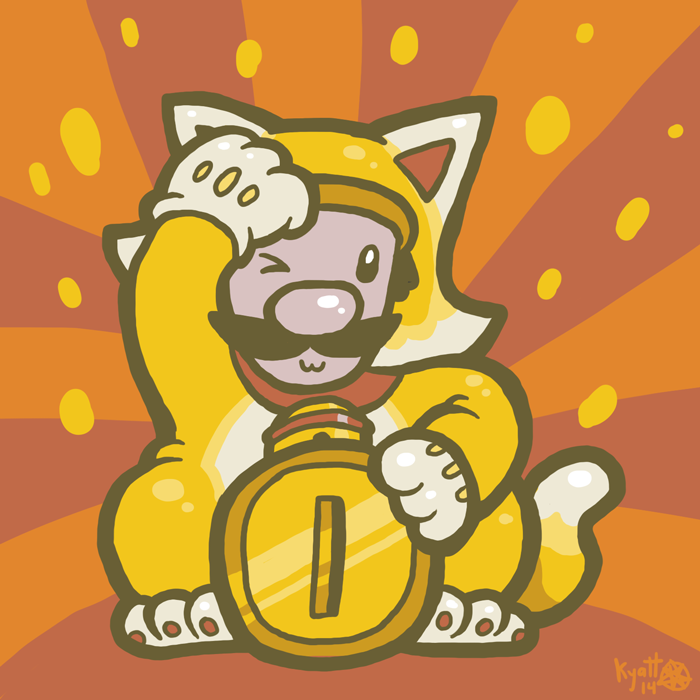 We're starting off with not just Cat Luigi, but the invincible coin-dispensing LUCKY Cat Luigi.